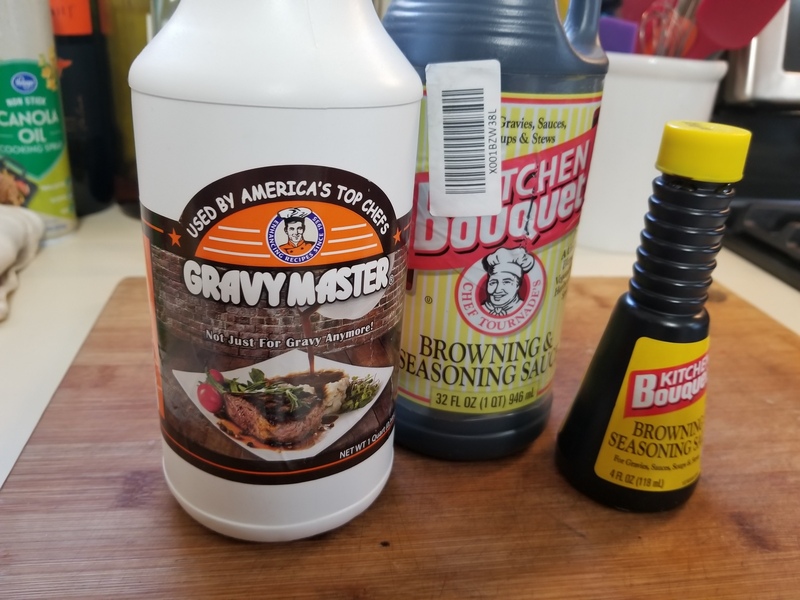 Kitchen Bouquet has been my go-to browning sauce since forever. 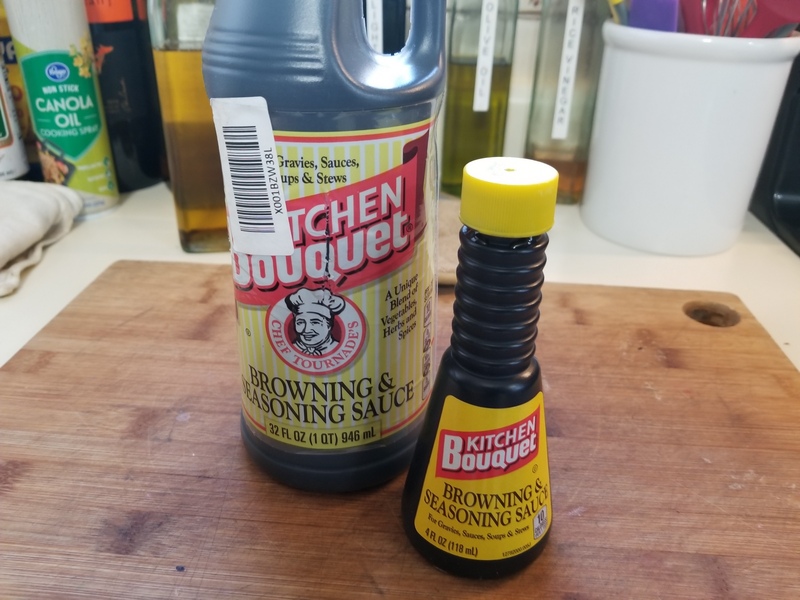 It comes is these 4oz bottles at my local market, and lasts roughly the amount of time it takes to forget just which aisle in the store they keep the new bottles. Every time I need more I have to search out those little bottles. No more! Amazon offers it in these hany quart bottles, and for those who need something to sweeten their estates for the grandkids, it also comes by the gallon. While online I also saw this other stuff – from the “customers who bought this also bought” section of the page. On a whim I bought a quart. It looks to be pretty much the same stuff, albeit with a somewhat sharper odor. I figure I’m set for the rest of my life.